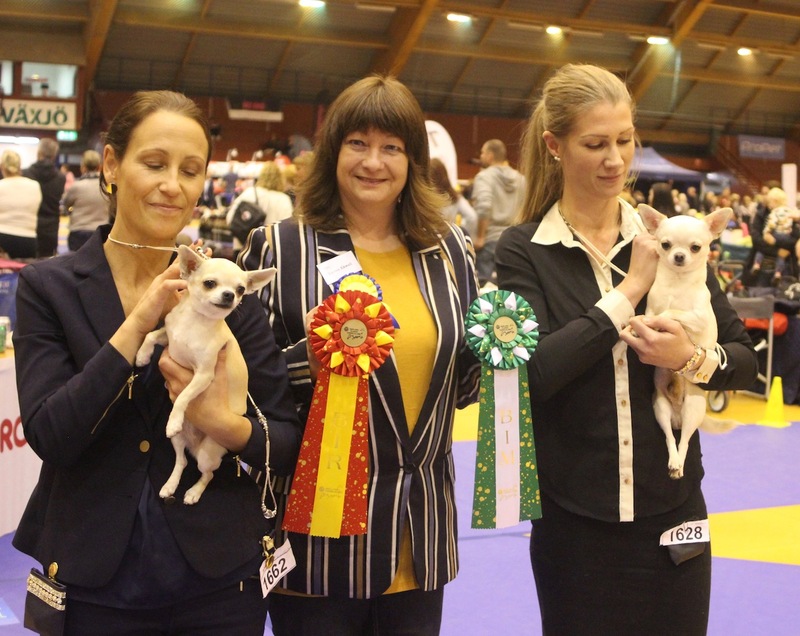 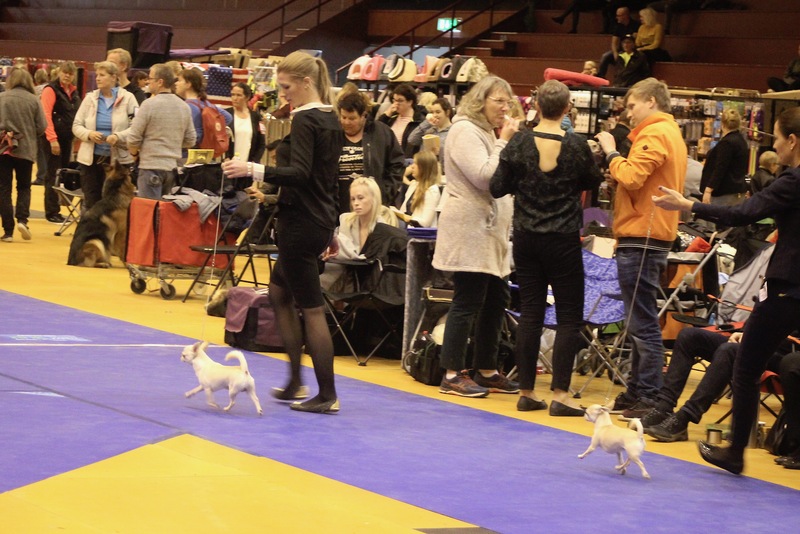 Presley NEW SWEDISH AND DANISH CHAMPION! 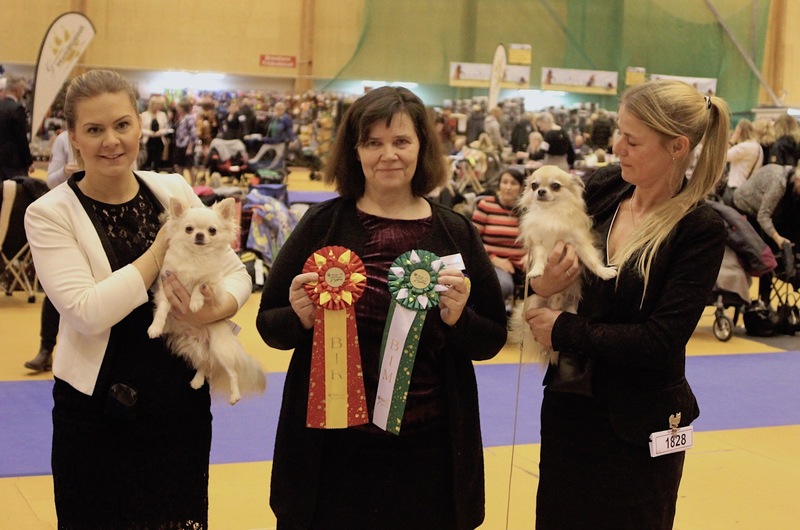 A very nice day in Växjö winning Best Male in both long coat and smooth coat! 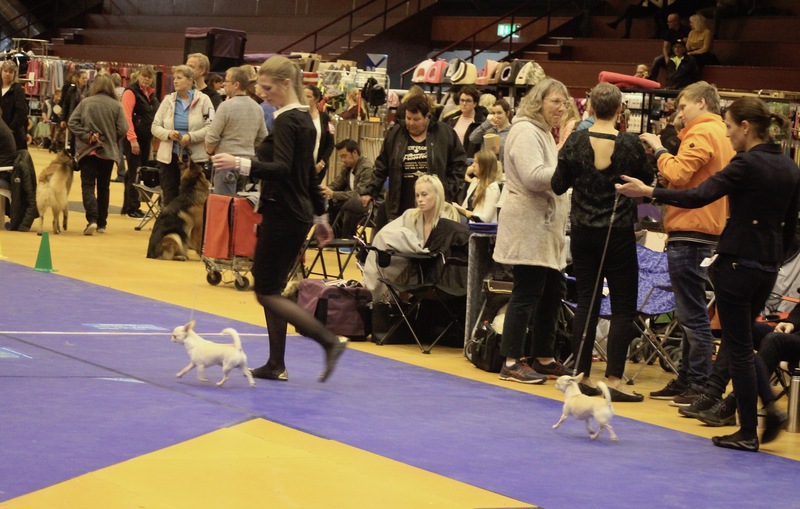 KBHV-16 KBHVJV-16 Chi’s Lovely Lord Berkeley was BOS with CAC and CACIB and then became Champion! 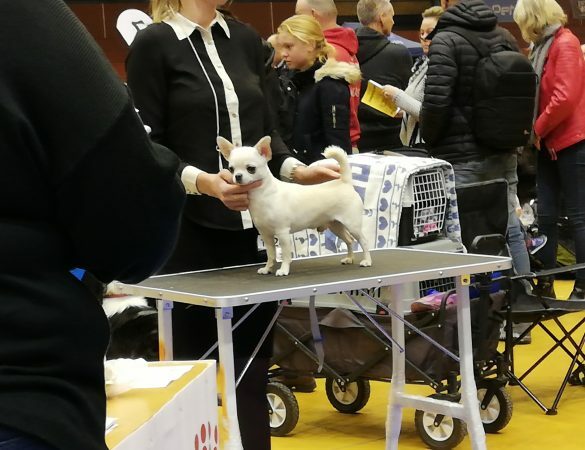 Very exciting show, he won open class and in best male it was pretty nervous but he beat them all! Think it was 8 males in just Ch class (Gerry 3 in Ch class and no place). 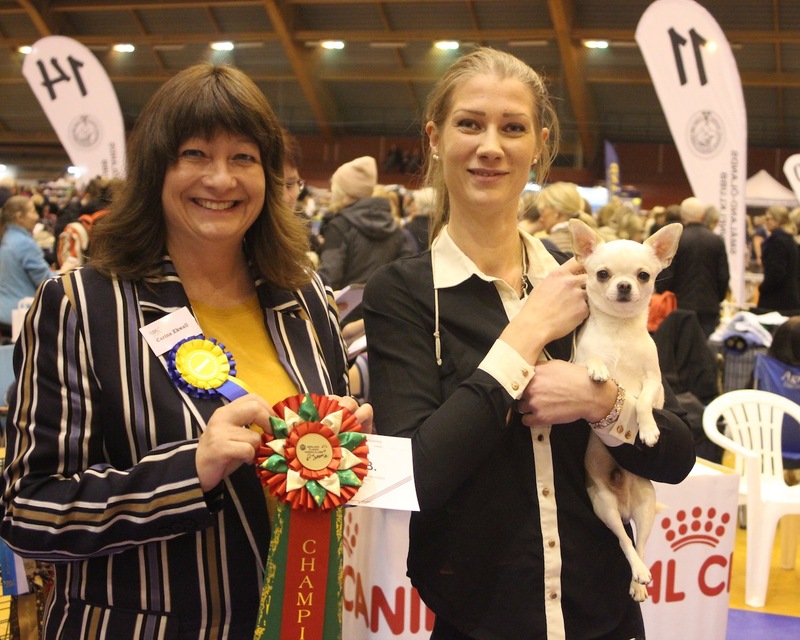 Miranda was 4 in a big Champion class, no place in BF. Mimmi EXC but not placed in the class.